When it comes to choosing a credit card, the way to get the most bang for your buck is to pick the one that will give you the most rewards for your spending. A cash back or a travel rewards credit card is the easiest way to use everyday purchases to give your budget a boost. Travel credit cards let you earn points for every dollar spent, which can be redeemed for travel-related purchases later (such as flight tickets, hotel stays and car rentals). Sometimes you can redeem your points flexibly, but otherwise, your travel has to be booked directly through the credit card website from participating airlines or hotel chains. The best travel credit cards also offer other travel-related perks, such as travel medical insurance, trip cancellation, and coverage for lost baggage. Cash-back credit cards give a percentage of your spending back to you as a reward. You can typically choose to have the cash back credited directly to your credit card bill, or receive a mailed cheque or direct deposit to your bank account. Some cards pay out monthly, others annually, or when you hit a certain threshold of cash back earned. The best cash-back credit cards often provide other perks, such as extended warranties or purchase assurance. 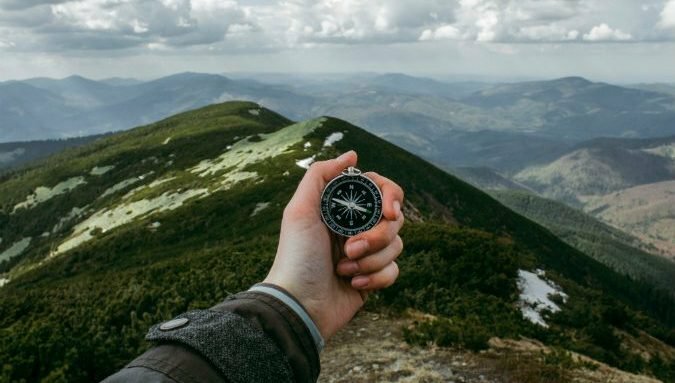 If you’re struggling to decide on which type of credit card rewards you want to rack up – points or cash back – here are some important factors to consider that can help steer you in the right direction. While some credit card benefits (such as price protection and extended warranty) can be found on both cash back and travel credit cards, others are more exclusive to the latter. Everything from access to airport lounges and discounted vacation packages to free checked-in baggage (among a handful of other benefits) are more commonly found on travel credit cards. Not to mention when it comes to credit card travel insurance, coverage periods and amounts tend to be higher on travel credit cards compared to their cash-back alternatives. If most of your vacations are staycations and you travel abroad less than once every two years, a cash-back credit card may be more up your alley. Travel credit card points are primarily oriented towards airline ticket redemptions, which may not appeal to someone who isn’t a frequent flyer or an aspiring traveller. Plus, most travel cards offer bonus points on travel-related purchases, so if you seldom spend on flight tickets or hotels, you may not rack up as many points and could end up with a credit card that isn’t aligned with your spending habits. While it’s true some travel credit cards allow you to redeem points for merchandise in addition to flight tickets and hotel stays, you’re often limited to a catalogue of products. Not to mention, you tend to reap less value out of credit card points for merchandise redemptions than flight tickets. Bonus categories are types of purchases that earn you a higher amount of rewards for every dollar you spend. For example, if a credit card offers 4% cash back on groceries and 1% back on all other purchases, groceries are considered a bonus category. Aside from a few exceptions, the majority of cash-back credit cards offer the same limited selection of bonus categories (namely gas, groceries and utility bills). In comparison, travel credit cards have a far larger selection of bonus categories – which significantly increases the amount of potential value you can earn from them. Depending on the travel card, you can earn bonus points on everything from restaurants, food deliveries, groceries, airline tickets, hotel bookings, gas, road tolls, public transit, taxis and more. That means you’ll often walk away with more rewards with a travel credit card, as you’ll have more opportunities to earn multiple points for every dollar you spend. The rewards offered by a cash-back credit card are simple and easy to understand (after all, it’s straightforward cash). Plus, cash-back rewards are flexible and can help you save on all your expenses – not just flight tickets or hotel stays. On the other hand, travel credit card points programs require some extra effort to understand and are usually accompanied with terms and conditions that can impact the value of your points based on when and how you redeem them. Credit card points programs can also be subject to modifications (due to mergers, among other things) that may effect how a program works for the better or worse. Annual fees for cash-back credit cards peak at the $100 mark, with plenty of cash-back card options with fees of between $0 and $60. While there is a selection of no fee travel credit cards, many of the best travel credit cards in Canada have annual fees that range between $100 and $150. Some ultra-premium travel cards even have annual fees that climb to upwards of $500. The ability to gradually earn rewards on your everyday spending is one thing, but in the case of many travel credit cards, you can quickly amass a ton of free points by taking advantage of lucrative sign-up bonuses. 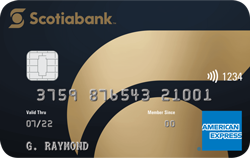 For example, the Scotiabank Gold American Express Card, one of Canada’s best travel credit cards, is currently offering 15,000 free points ($150 value) to new cardholders provided they spend $1,000 on the card in the first three months. 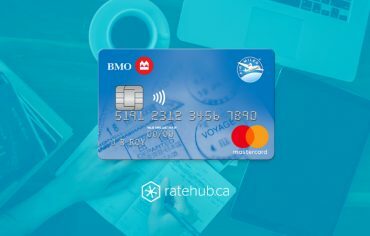 The BMO World Elite Mastercard has a welcome offer of 35,000 free bonus points ($250) when you spend $3,000 on the card in the first 3 months. A cash-back credit card is best if you want flexibility with your credit card rewards and you’re focused on financial goals, such as saving or paying off debt. 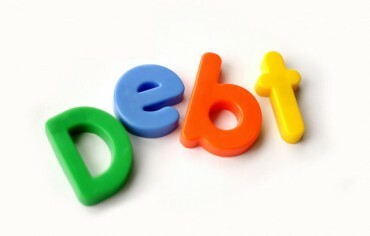 Direct your cash back into a dedicated savings account, or back onto the credit card itself to pay off debt. It’s an easy way to painlessly boost your bank account without changing your everyday spending habits. 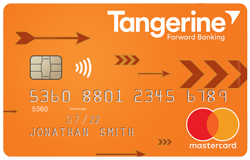 The no-fee Tangerine Money-Back Credit Card offers 2% cash back in up to three spending categories of your choice, and 0.5% cash back on all your other purchases. There are 10 categories to choose from: groceries, gas, drugstore, furniture, hotels and motels, home improvement, parking, recurring bills, and restaurants. You’ll receive your cash-back reward monthly, as a statement credit or deposit to your bank account. Best of all, there’s no limit to the amount of cash back you can earn, so make sure to use this card for big and small purchases. 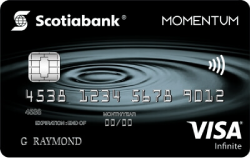 With the Scotia Momentum Visa Infinite Card you can earn up to 4% cash back on grocery and gas purchases, 2% on drug store purchases and recurring bills, and 1% on everything else. The card has a $99 annual fee, but if you sign up now, you’ll have this fee waived for the first year and earn 10% cash back on all purchases for the first 3 months (up to $200 cash back). A travel rewards credit card is the best card for you if you have wanderlust to satisfy and you want to make it affordable. 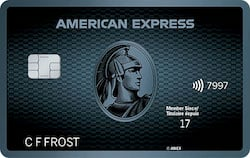 The American Express Cobalt Card lets you earn five points per dollar from all your food purchases (including both restaurants and groceries), 2 points on travel purchases (ranging from flight tickets to taxis), and 1 point per dollar on everything else. Each travel point has a fixed value of $0.01 There is no limit to the number of points you can earn in a year, and your points never expire. Furthermore, you can redeem points retroactively, meaning if you’ve already spent on travel, you can go back and credit the purchase with points. With the Scotiabank Gold American Express Card, you’ll earn four points per dollar spent on restaurants, groceries, gas and entertainment, and 1 point per dollar on everything else. Each point is worth $0.01 (which equates to a 1% return) when redeeming for travel expenses. Don’t have enough points to cover the cost of your flight or hotel? No problem, you can use what points you have and charge the difference to your credit card. When it comes to choosing a cash back or travel rewards credit card, pick the one that offers the best return on your purchases and the best rewards for your lifestyle. Still undecided? You can always get one of each. The Easy Budgeting Rule: 50/30/20 Buying vs. Leasing A Car – What’s Better? We recently released our inaugural Digital Money Trends Report, which takes a look at how Canadians are managing their money. 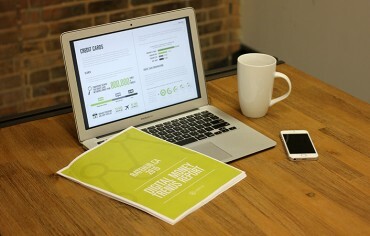 It’s an ambitious project that covers mortgages, saving and investing, and credit cards.